(CNS): Despite some early teething problems at the start of the porject and difficulties over how the new slips will accommodate the array of boats the tourism minister said that the new marina at Safehaven will be operational next week. Boat owners providing the different water tours for visitors in the North Sound and other locations have decided between themselves who will be taking which slips at the renovated site which is on port authority property but that was undertaken by the Ritz Carlton developer, Michael Ryan as part of a previous deal with government over land swaps regarding that hotel’s development. Moses Kirkconnell, the tourism minister, told a West Bay audience on Monday evening that the complete new facility had been turned over to the port authority and all of the boat operators in temporary slips had been given notice to return to the new dock in what he described as a transparent process. He said there had been a number of meetings with tour operators and local boat owners to encourage them to sort out amongst themselves the issues about who gets what slips and to discuss the fees that the operators will now be required to pay. As a result of the new facilities that will be on offer which weren’t provided at the old facility owners will have to pay to cover the costs of operating the site. Kirkconnell described the new site as the type of top notch, first class facility Cayman’s tourism product needed and explained it was about creating opportunities for local people to be more involved with and helping to improve the services in the tourism sector. 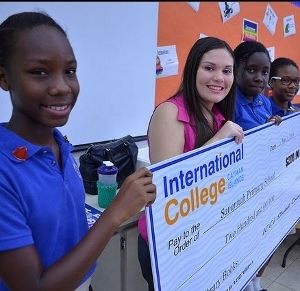 (CNS): Students at the International College of the Cayman Islands raised $600 this term to contribute to literacy programmes in local primary schools. Savannah Primary, George Town Primary and Bodden Town Primary will each receive a check for $200 to assist their respective library to buy new books. “ICCI Gives Back” is a college initiative where the ICCI Student Council meets quarterly to discuss how students can provide meaningful service to the community. “We really encourage our students to be involved with service at ICCI because it is part of our mission,” said ICCI President Dr David Marshall. “It is not enough to produce ICCI graduates with knowledge and skills in their fields of study. We have to let students know they have an obligation to take their education and do their part in building their communities and the nation,” he said. George Town Primary PTA President Cheyenna Stewart said it was an extraordinary gesture. “I was in the middle of ordering more books for the library and this contribution from ICCI students came just in time. Our children have a hunger to read. The more books we can put in front of them, the more we increase their chances of becoming accomplished readers,” she added. Meanwhile, Savannah Primary Student Librarian Nazia Jacques said she and her three fellow student librarians work to “help everyone understand what they are reading and ask good thinking questions about the stories they see in their books,” as she promised to put the donation to good use. “Our students understand how reading can unlock the doors to future success. So for them to see college students stand in front of them to talk about the importance of reading, I think it will have a big impact on them,” said Carol Ann Peart, Savannah Primary Teacher andLibrarian. “I was sitting right where you were a few years ago,” said ICCI student Kayla Wood told students at her old Savannah Primary school “If you learn to read and do well in school, you too can go to college someday,” said Wood. (CNS): Volunteers on the West Bay Environment Committee are taking things into their own hands. Among the many projects and initiatives they are involved in to help people in their district and to promote West Bay as a destination in itself, the team is aiming to open a new West Bay Craft Market at the district’s Heritage Field. Committee Chair Creswell Powery said that the site is used for one day a year at the moment but it could provide the perfect location for a regular local crafts, artisans and food market, which the committee hopes to launch on 7 July, Constitution Day, and he is asking people who want to become involved to contact the committee to help turn the plan into a reality. Several past governments have attempted to set up a craft market in the district, near the public beach and boat dock. But whatever bureaucratic hurdles have existed, that official proposal has never got off the ground. Speaking at a meeting hosted by West Bay MLA and employment minister Tara Rivers on Monday evening, the chair explained that this is a district level project driven by members of the local community. Powery said it was designed to give opportunities for products made in West Bay to be sold to locals and visitors and provide a place where tourist can be guaranteed to meet and talk with “born Caymanians, whichare fast becoming an endangered species”. He said that visitors were coming to Cayman now and never actually meeting a real Caymanian. Powery said that alongside the craft market project, the committee, which is housed at Rivers’ constituency office in Centennial Towers in West Bay, has been involved in around eleven major weekend clean ups around the district and another new initiative is the launch of a dedicated website for the district. 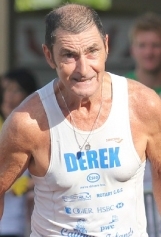 (CNS): Local veteran distance runner Derek Haines took another step towards his $1m goal in his six marathon challenge recently when a local firm donated $25,000, pushing the total pledged so far over CI$400,000 with some four weeks to go before his third marathon of the year in Spain. The latest cash came from Peter Fitzgerald of Pestkil and was described as “brilliant” by Haines, as it came on a day when smaller amounts also trickled in, all helping in the aim to build an in-patient care facility for the local hospice charity. “Friday was terrific,” Haines said. ”I had a call from Jennifer Grant-McCarthy at Hospice to tell me about this donation and another for $500.When I took the cheques to treasurer Chris Johnson he had just received another for $1,000: so $26,500 on one day and that is $1000 per mile towards the next marathon. To burst through the $400,000 mark in a relatively short period is a tremendous tribute to the generousity of the Cayman population and it is so good to see so many initiatives by the community taking place; initiatives such as the Deputy Governor's 5K challenge and a charity dinner at the ICOA restaurant,” he added. Haines will head to Pamplona next month, where he will run the inaugural 26 mile race there marking his halfway point in the six marathon challenge. He is hoping by that time to have reached the half way mark in the cash total as well as the marathons under his sneakers. (CNS): Consultants have been appointed to carry out the environmental impact assessment and marine engineering performance specifications for the cruise berthing facility in George Town. The $2.5 million assessment, which will be paid for by the public purse, was awarded following a competitive process via the Central Tenders Committee to WF Baird Coastal Engineers Ltd with support from local firm Bolas Engineering. It includes provision for the marine engineering study, since that must be considered alongside the environmental issues. Tourism Minister Moses Kirkconnell said Monday that this would be the first time the government would ever own such information. 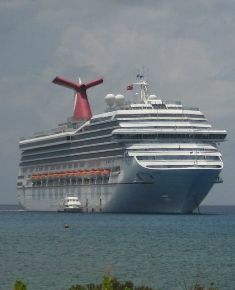 While concerns remain about the cost, the possible negative social, economic and environmental impact on the islands, as well as the location of the project, the government is pressing ahead with the plan to develop two cruise piers in the George Town Harbour that can host the new class of mega ships now serving the Caribbean. Despite the long history Cayman has had toying with the idea of the cruise port and the various attempts to try and start the project, government has never carried out these types of studies. While EIA’s have been carried out by private entities, such intellectual property rights have never been in the hands of government to inform them exactly what will be required from an engineering perspective for such a significant development in the capital’s harbour and so close to Seven Mile Beach. Talking about the award at a West Bay public meeting on Wednesday night, Kirkconnell explained that the engineering study and environmental impact assessment would start the project off on the right foot. "The fact that milestones are being accomplished in compliance with international best practice, as well as the terms of the FFR (Framework for Fiscal Responsibility), attests to the methodical approach this government is taking to ensure the project is managed in the right way from a financial, technical and environmental standpoint," the minister said. In a media release on Monday evening, he said that with the contracts signed the EIA study could proceed in earnest. “In assessing possible impacts, the EIA will identify the actions that will be required to successfully protect the vitality of the area and safeguard against unintended consequences. As such, it will be an invaluable tool that will greatly assist my ministry in making informed decisions for sound environmental management, at the early stages of planning and design,” he added. While officials believe this stage of the project is where any potential problems can be mitigated, Kirkconnell has said on numerous public platforms that if the development of the two piers were to threaten the future of Seven Mile Beach, as many people believe, then the development would not go ahead. He said that during the preparation of the impact assessment the Ministry of Tourism will conduct public and private sector stakeholder meetings and the process will be closely monitored by the Environmental Assessment Board, which comprises members from the Department of Environment (DOE), Ministry of Planning, Ports Authority, National Museum, National Roads Authority (NRA) and the Department of Tourism (DoT). Joey Hew, the government back-bench councillor who has responsibility for transport, said that the studies would be finished before the year end. “Barring any unforeseen circumstance, the EIA is expected to be completed by the end of 2014. It will comprise an Environmental Statement (ES) and an Environmental Management Plan (EMP) and the recommendations and requirements which stem from it will be incorporated into the final cruise berthing facility planning and construction process,” he said. Baird is said to have extensive Caribbean experience and it will head up the team of consultants who will prepare the impact assessment. The firm was described by the ministry as an experienced international marine engineering group that provides professional engineering and technical services related to the design of coastal structures and facilities that interact with the world’s oceans, lakes and rivers. Smith Warner International Ltd (SWI), based in Kingston Jamaica, is the largest Caribbean firm specializing in coastal engineering, coastal zone management, oceanography & marine related EIA’s. SWI will carry out the marine related studies and modelling for the impact assessment. Also involved is Technological & Environmental Network Ltd (TEMN), which comprises a team of engineers, planners and scientists whose combined knowledge and experience extend across a broad spectrum of human and physical environmental concerns. TEMN has experts in physical, chemical and biological sciences, including environmental chemistry, oceanography, marine biology, engineering, architecture, environmental planning, and project management. The MMM Group, industry leaders in transport assessment and traffic impact studies for both public and private sectors, will provide the information necessary to effectively manage the interaction of the cruise passengers in George Town and beyond. Finally, Bolas Engineering, a Cayman-based structural and civil engineering firm which has been providing engineering solutions for over 20 years will provide local coordination. PricewaterhouseCoopers (PwC) was named by the CTC as the successful bidders. They then prepared the Outline Business Case (OBC) and subsequent tender documents. The OBC, which was prepared in October 2013, confirmed that an environmental impact assessment would be undertaken for the proposed facility. The Terms of Reference for the EIA were prepared by Mott MacDonald Limited in collaboration with the Environmental Assessment Board, and were reviewed during a public consultation process undertaken by the ministry in November 2013. The RFP to identify a consultant to undertake the environmental impact assessment was issued by the Ministry of District Administration, Tourism & Transport (DAT&T) in December 2013. All related reports associated to the Cruise Berthing Facility; including the Strategic Outline Case, Business Case and Terms of Reference for the Environmental Impact Assessment are available on the Ministry of Tourism website. The Strategic Outline Case developed by government in April 2013 set out eight options for consideration, varying from a ‘do nothing’ option through to a two pier solution accommodating four ships. In this document, government also defined the financial, technical and environmental factors that would need to be reviewed for the preparation of the next and more detailed stage, known as the Outline Business Case (OBC). (CNS): Volunteers are currently gathering critical information from Cayman’s teenagers in the National Drug Council's 7th Cayman Islands Student Drug Survey (CISDUS). Despite reports about mounting behaviour problems in government schools, volunteers interviewing the students in this survey have found the opposite. “The students were exceptionally well behaved,” said one of the volunteers working on the project, which will pull together the latest data regarding the extent and patterns of alcohol, tobacco and other drugs used among students in grades 7 to 12 across the Islands. The study will provide a better understanding of both current and changing rates of alcohol, tobacco and other drug use. The data allows those working in the field to address the negative effects of substance abuse in the community to appropriately allocate resources as well as continue to give those working with young people a base for preparing and improving programmes directed toward our youth. “The survey is off to a good start, we have some returning volunteers as well as a number of new volunteers who display enthusiasm and a high level of commitment for this project” said Luisa McLaughlin, Research and Information Officer, National Drug Council, who extended the thanks from the NDC to those who had given up their time to help. “It is with the continued high level of support and commitment we received from individuals in our community that make it possible for our organization to administer the survey in an efficient and timely manner,” she added. (CNS): A police officer accused of taking a bribe in order not to arrest a man over the theft of a mobile phone said that the money he got was a legitimate $500 loan and there was “nothing untoward” in the arrangement. Taking the witness stand in his own defence when his case restarted on Monday after a two week break, Elvis Ebanks (30) said he had not done anything wrong but on reflection he had been foolish to accept the loan offered by Len Ferrares. Ebanks denied taking $150 from him the day he attended the report at Autospa over the possible theft. He denied threatening the man and Ebanks insisted he told him very clearly that he would not be prosecuted. After Ferrares had offered him a loan three times during the journey he eventually accepted, he said. Ebanks, who has been a police constable for eleven years, having joined the service just a year after leaving school, told the jury when he took the stand Monday that he had dealt with the issue at the Autospa on 10 November 2012 and had confirmed that the owner of the phone did not want to press charges once his phone was returned. He had then agreed to take Ferrares, the man who had been accused of stealing it, home. This was because there was going to be no further action and because the owner of the car wash had wanted the man removed from the premises after the theft allegation. Ebanks said he left the spa and stopped for a cigarette on Old Prospect Road before he drove Ferrares to his home in Spotts, Newlands. The police officer told the court that he had told Ferrares immediately that there would be no arrest and that the owner did not want to press on with the case. He warned him, however, that he should not keep things he found and he gave an example of finding a wallet with money inside but with forms of identification. He said he had told Ferrares that he could do with $500 but if he found that money it would be stealing if he kept the case as there would be ways of contacting the owner. After this example, Ferrares immediately offered to lend him $500, he said, but the police officer had declined, explaining he was just giving an example. But he said Ferrares insisted and on the third time he made the offer, Ebanks said he decided to accept. He said they had agreed Ferrares would lend him $500 and he would pay him back $600 over two installments and they arranged to meet on the following Wednesday. Ebanks said the case regarding the phone was closed so there was nothing wrong with the arrangement, which he said was a perfectly legitimate loan and had nothing to do with charges regarding the potential cell phone theft, as he had told Ferrares clearly that the case was finished with. Expressing some regret, he said that on reflection, while he had done nothing wrong, it was a “poor decision” that had landed him in a “bad spot”, where his career now hung in the balance. After telling his side of the story, Ebanks was pressed by the crown about the phone calls recorded by the police in a sting operation in which Ferrares appeared scared and had asked Ebanks to confirm that once he gave the money everything would be OK and he wouldn’t be arrested. Ebanks said he was completely puzzled and confused by the reaction of Ferrares in the phone calls as he said it had nothing to do with what they had agreed. He told the court that when he collected the loan money from him at the Countryside Shopping Centre, Ferrares had simply given him the money and quickly disappeared, making no conversation and not explaining why he appeared so concerned. He denied over and over that he had asked Ferrares for money and had used the threat of arrest over the phone theft to extract the bribe and insisted it was a loan. He said he could not explain why the things that Ferrares said did not coincide with what the men had agreed before but he was never able to find out. He said he did not ask him what he meant on the phone as he wanted to speak with him face to face, which was why he urged him to meet at the agreed place by Subway at Countryside. Ebanks also said he could not explain what had happened to the bits of paper on which he had written the details of the incident at Autospa as he said they were slipped inside his police notebook when the officers who had arrested him had taken possession of that book. The officer, who is currently suspended from duty because of the charges, also accused the officers who arrested him of being very aggressive, even though he was not fighting or threatening anyone. Ebanks said he did not know any of these UK officers, who, he said, didn’t say they were police. He also described the so-called “deflection strike” that one officer said he used to bring Ebanks to the floor was nothing more than a term used by police as an excuse or a cover-up for when they have assaulted someone in the course of their work. The trial, which is being heard by a jury and presided over by Grand Court Judge Justice Charles Quin, continues Tuesday in court one.